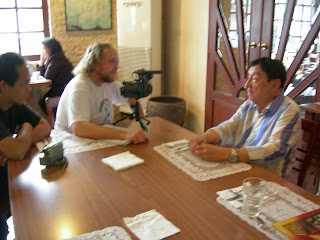 An interview with the Philippines' King of Comedy, Rodolfo V. Quizon aka Dolphy, on his THREE films with Weng Weng. Interview filmed July 2007. Andrew: Let’s talk about Weng Weng. 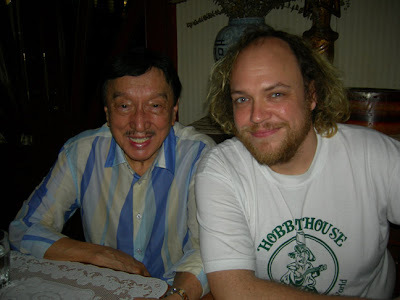 Dolphy: Weng Weng… (laughs) I loved that guy. It would appear that Da Best In Da West was the first film Weng Weng starred in? No. In my productions it was the second. The first one, I think, was The Quick Brown Fox. I play the role of an agent and WW is my sidekick. Because some of the goons and the masterminds are all foreigners, I’m the brown face who’s very fast in everything. So I am the one to be eliminated by the Racket. Weng Weng is my sidekick, he lives with me. (Laughs) He’s my right hand, you know? But he was killed by the goons, crucified in my room. He clicked in that movie because he knows martial arts and can jump very fast. SO that was his first. How was Weng Weng introduced to you? A friend of mine brought him to me.and said, “This is Weng Weng.” He appeared already in one of Luis San Juan’s movies. I said, “I’ll try to think of a place to put him in a movie.” During that time my productions were doing very well. So every time that I produced, everybody wants to be an agent. Was that friend Pete Caballes? Caballes, yes. I met him also with Luis San Juan. And his wife was a counsellor here in Manila. I haven’t seen Pete and Cora for a long, long time. So Pete approached Luis San Juan, who cast Weng Weng in a small role, then did The Quick Brown Fox for RVQ, then Da Best In Da West? And this was before he was cast as Agent 00? In Da Best In Da West, more than half the cast and crew seem to end up working on Pete’s Liliw films. Did you actively encourage him to make a feature film with Weng Weng? No, I was thinking of a role for Weng Weng in the movie, because there’s so many in the cast. Lito [Lapid], now Senator Lito, wanted those guys to be in the picture, I said OK. Anyway this is action, we need those guys to do the fight scenes and choreography. Yehlen [Catral] was one of my leading ladies from Dolphy’s Angels (1980), and I took this mestiza woman [Nina Sara] for Lito Lapid – her father’s Tony Carreon, she should be Spanish looking. All the classic bad guys are in the film – it’s not just a parody of a western, but of a Pinoy western! It was a very expensive movie, because almost all of the villains from the history of making movies are all there. Paquito Diaz, Romy Diaz, Max Alvarado, so many others. [Eddie] Nicart, and all the goons of Lito Lapid. And I had my own goons as well! It was part of my comedy. It’s a celebration of Goon Cinema! Was it successful? Yes, but we were competing with the first Superman that was showing here. You would see people watching Superman AND Da Best In Da West! And The Quick Brown Fox was earlier? We were shooting in Baguio, because it looks like a western place. AT that time, not any more because there’s so many houses there. You can’t see the mountains anymore, there’s all residences there. And you can get some big horses in Baguio. They charged me more every day! So we had a contract for one week’s shooting. It looks like a western. And it’s action, and funny. I play the blacksmith who makes a gun that shoots backwards! So that was my bait – that they would pick up my gun and shoot themselves! We had a hard time doing that. The horses, they stop. So what we did was put a plank, the horse runs over it… In one shot we blindfolded the horse, but the horse can sense this! But we got the shot OK. 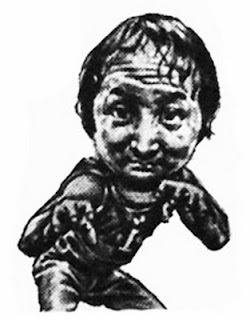 When I found Weng Weng’s brother and asked him about his favourite film, he said the one Weng did with Lotis Key. Did she make a film with him? This I don’t remember. Am I in the movie? So many people were getting Weng Weng for their movies after The Quick Brown Fox and Da Best In Da West. They say it was lucky, that Weng Weng’s lucky to have in a movie. And not just because he was huge box office? He was a real superstar for a short period. Yes, I was in the movie. He was courting somebody, I go with him to court this woman and to ask her father for her hand. It’s a funny scene – the father is also a midget, and the house is so small, I have to bend down! (explodes with laughter) I always bump my head! 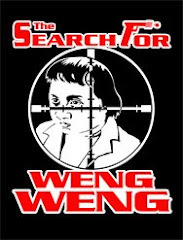 What are your memories of Weng Weng as a person? Well, he’s really a toy, you know? Because he can do lots of things, because he’s a dwarf, and their brains are not smart. He had his own gun – he was an Agent, did you know that? I don’t know where Pete got this guy. All I know is that he died. Somebody told me he had the mind of a ten year old. I don’t know… I just heard he wasn’t with Pete anymore. Unfortunately we’re talking about old people who have already died! The other day I was thinking of a friend, and all of them are gone already. I have to make new friends!